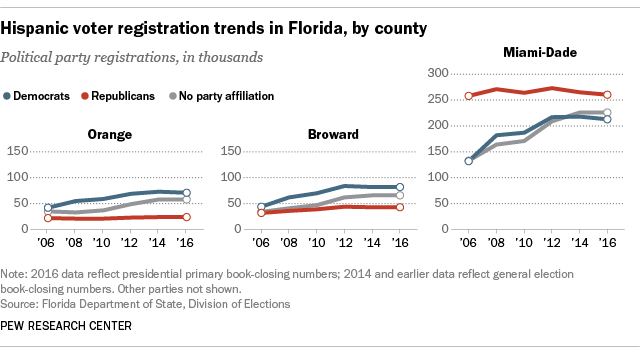 Florida has long been a battleground state in presidential elections, with Hispanic voters playing a growing role in determining the outcome of the state’s presidential vote. Hispanic voters this year make up an even larger share of the state’s registered voters than in past years, but the profile of the Latino electorate has shifted over the past decade or so, according to a Pew Research Center analysis of state voter registration data. Note: This post was originally published on July 31, 2015, and has been updated.